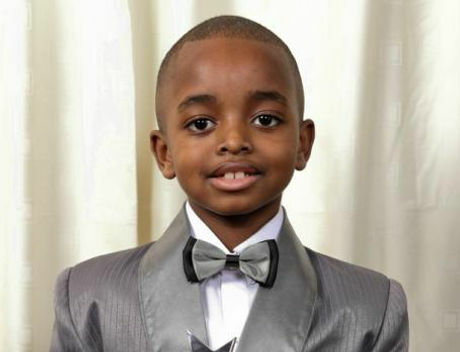 At age six, most young children are entering first grade, but not for the extraordinary Joshua Beckford. 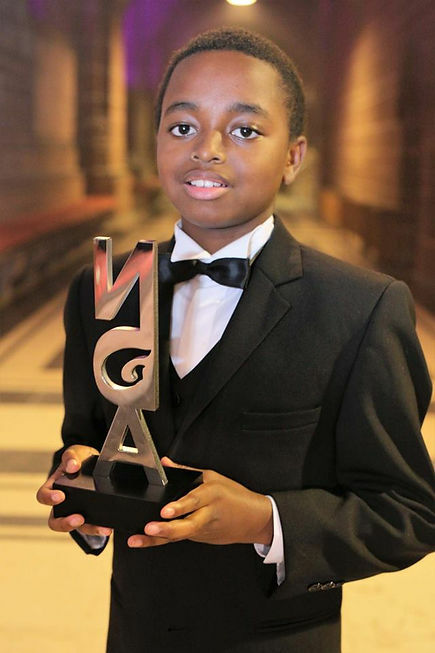 Living with high-functioning autism, the child prodigy from Tottenham was, at the age of six, the youngest person ever to attend the prestigious Oxford University. 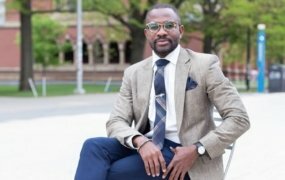 He received a certificate of excellence after getting distinctions in all his courses which were part of an online learning platform for gifted children. 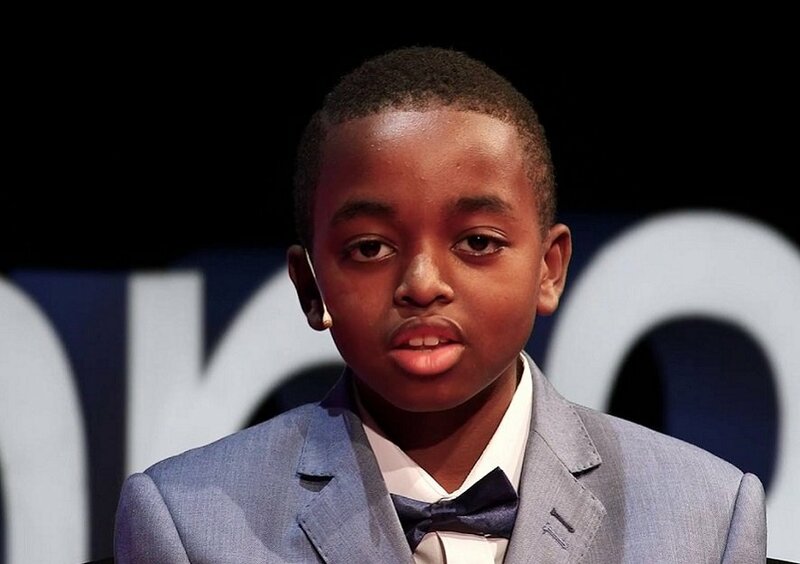 Now 13 years, the young scholar who has dreams of becoming a neurosurgeon was recently listed in the top 30 most remarkable people in the world with Autism who have impacted society. But he has his father to thank for this incredible feat. 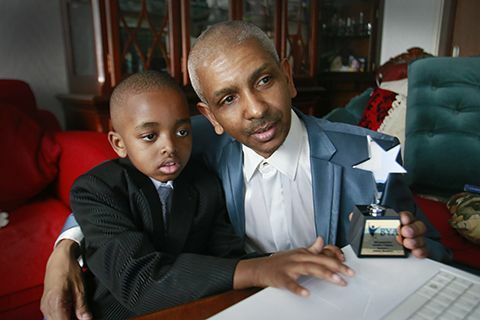 At just 10 months old, Beckford’s father, Knox Daniel, discovered his son’s unique learning capability while he was sitting on his lap in front of the computer. “So, if I told him to point to a letter, he could do it… Then we moved on to colours,” Daniel added. At the age of three, Beckford could read fluently using phonics. 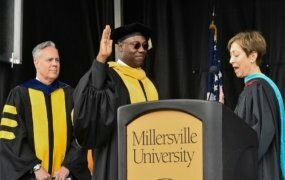 He learned to speak Japanese and even taught himself to touch-type on a computer before he could learn to write. 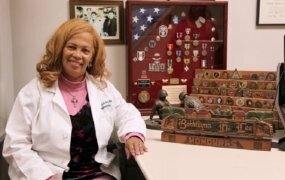 “Since the age of four, I was on my dad’s laptop and it had a body simulator where I would pull out organs,” said Beckford. 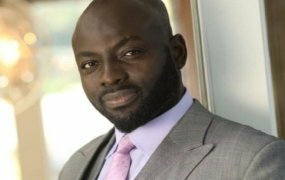 In 2011, his father was aware of a programme at Oxford University that was specific to children between the age of eight and thirteen. To challenge his son, he wrote to Oxford with the hopes of getting admission for his child even though he was younger than the age prescribed for the programme. Fortunately, Beckford was given the chance to enrol, becoming the youngest student ever accepted. The brilliant chap took a course in philosophy and history and passed both with distinction. Beckford was too advanced for a standard curriculum; hence he was home-schooled, according to Spectacular Magazine. Having a keen interest in the affairs of Egypt throughout his studies, the young genius is working on a children’s book about the historic and ancient nation. 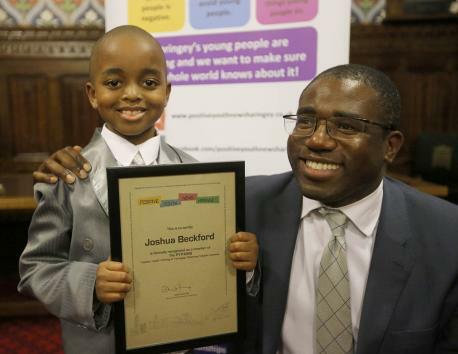 Aside from his academic prowess, Beckford serves as the face of the National Autistic Society’s Black and Minority campaign. Being one with high-functioning autism, the young child helps to highlight the challenges minority groups face in their attempt to acquire autism support and services. Last month, the wonder child was appointed Low Income Families Education (L.I.F.E) Support Ambassador for Boys Mentoring Advocacy Network in Nigeria, Uganda, Ghana, South Africa, Kenya and the United Kingdom. BMAN Low Income Families Education (LIFE) Support was established to create educational opportunities for children from low-income families so that they have a hope of positively contributing to a thriving society. 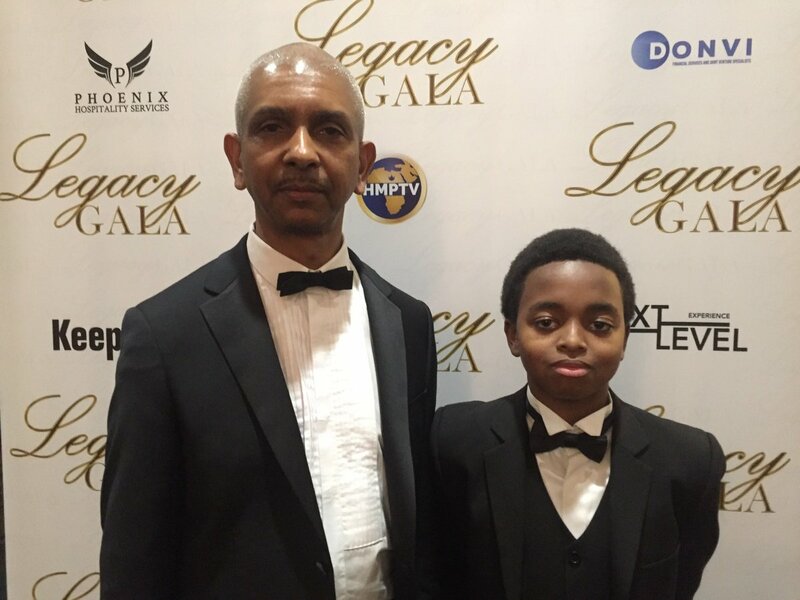 Beckford will further hold a live mentoring session with teenagers and his father, Daniel, will facilitate a mentoring session with parents at the Father And Son Together [FAST] initiative event in Nigeria in August 2019. In 2017, Beckford won The Positive Role Model Award for Age at The National Diversity Awards, an event which celebrates the excellent achievements of grass-root communities that tackle the issues in today’s society. The young boy also raises funds for three autism charities (two in Africa and one in the U.K.) and is celebrated for his campaigns to save the environment. He recently wrote the poem Saving Mother Earth at the TEDx International Conference in Vienna. 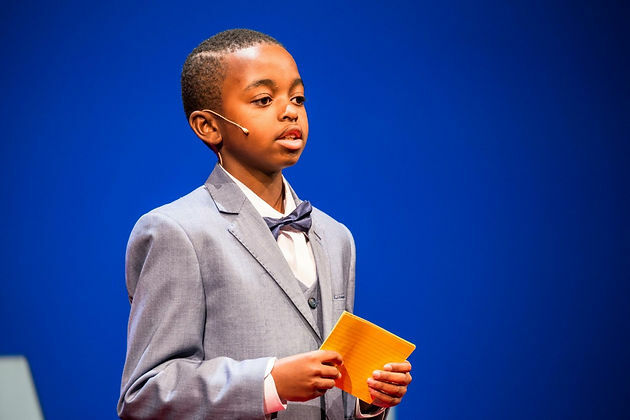 Described as one of the most brilliant boys in the world, Beckford also designs and delivers power-point presentations on Human Anatomy at Community fund-raising events to audiences ranging from 200 to 3,000 people, according to National Diversity Awards. Parenting a child with high-functioning autism comes with its own challenges, his father added. “[Joshua] doesn’t like loud noises and always walks on his tip toes and he always eats from the same plate, using the same cutlery, and drinks from the same cup,” he said. He is, however, proud of his son’s achievements and believes he has a bright future ahead. “I want to save the earth. I want to change the world and change peoples’ ideas to doing the right things about earth,” Beckford once said of his future.